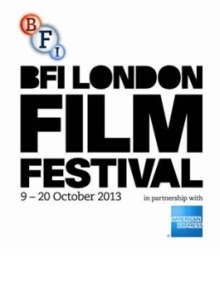 This morning at London’s Odeon Leicester Square, the British Film Institute announced the full programme for the 57th BFI London Film Festival, a twelve-day extravaganza showcasing the very best in upcoming mainstream, world and experimental cinema. With British director Paul Greengrass’ hijack thriller Captain Phillips and Disney’s Saving Mr. Banks (both starring Tom Hanks) already announced as the opening and closing films, the stage was set for a whole raft of high profile Gala screenings and premieres, including the cream of 2013’s international festival crop. Amongst these will be Alfonso Cuarón’s Gravity, Steve McQueen’s Twelve Years a Slave and the Coens’ Inside Llewyn Davis. This year’s LFF will screen a total of 234 narrative and documentary features, including 22 World Premieres, 16 International Premieres, 29 European Premieres and 20 Archive films. A stellar line-up of directors, cast and crew are also expected to take part in career interviews, master classes and other special events. Sponsored Gala screenings include Stephen Frears’ Philomena (American Express), Gravity (American Airlines), Twelve Years a Slave (Accenture) and Inside Llewyn Davis (Mayor of London), Jason Reitman’s Labor Day (The May Fair Hotel), Joseph Gordon-Levitt’s Don Jon (Empire), Jim Jarmusch’s Only Lovers Left Alive (Sight & Sound) and Palme d’Or winner Blue is the Warmest Colour (Time Out). Destiny Ekaragha – director, Gone Too Far!